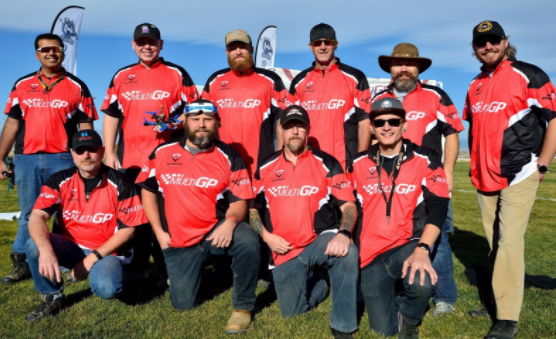 The Other Guys is a chapter of MultiGP in Colorado. MultiGP is an authentic drone racing league for first-person view (FPV) radio-controlled aircraft focused on pure competition and community. We welcome pilots and organizers of all skill levels to participate and help grow our sport. We not only foster friendly competition among all age groups, we also promote learning through STEM. We educate and inform the general public about current regulations and restrictions on the use of sUAS to better inform them and make our skies safer for everyone. We seek to dispel the current stigma round “drones” and the unwarranted fear many have, while experiencing the magic of flight while standing on your own two feet. 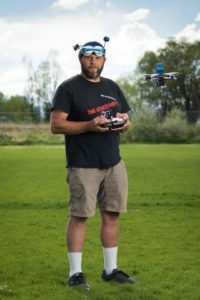 My name is Matt "TeamDefianceFPV" Roper and I'm the President of The Other Guys FPV and the OAS Hobby Team Manager. I work in conjunction with other chapter leaders to promote FPV racing in the community to provide the best races in our region. I have been flying RC since childhood and my passion for the hobby quickly evolved to Helicopters, then quads and now racing FPV. I travel regularly to races nationwide, I have also been to XDC in Las Vegas, Midwest Drone Battles, AMA Nationals, Phoenix Cup among others. I will be attending Midwest Drone battles again and anticipate a heavy race schedule for this upcoming season. I am a skilled builder and have made quadcopter build videos. I also have an extensive collection of videos highlighting OAS hobbies. My name is Byron “Claymore” Thurston, Claymore is a throwback to my FPS video game history. I currently live in Arvada, CO and work as a 3D Modeler and Structural Designer. I starting flying FPV quadcopters in January of 2016, after teaching myself to solder, build and fly from YouTube University. I trained several hours every day on FPV simulators for weeks before I spent the money required to jump into the sport, I credit this well spent time for my rapid rise to competitiveness with other top national pilots. 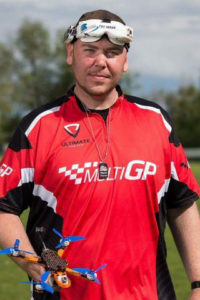 I am currently ranked in the Top 25 for several MultiGP Universal Time Tracks National Leaderboards and after finishing 3rd overall at the 2016 MultiGP 5B Regional Final I raced in the 2016 MultiGP National Championship ‘Fast 52’ in Muncie Indiana. 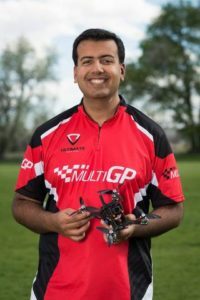 Vishal "Stellarhopper" Verma is a budding FPV pilot who equally loves flying and racing his quads, the technology behind them, and the community around FPV racing. As a Software engineer by profession and an electrical engineer by academics, he loves the technology aspect of this sport, and strives to experiment with the bleeding edge of the sport. As an adrenaline junkie, he loves the thrill of flying and racing. Vishal bought his first racing quad in spring 2016, quickly outgrew it, and built his first custom one in only a few months, and has never looked back since then. Vishal has attended a few high profile events such as the MultiGP race at the Sebring Aviation Expo, and the Midwest Drone Battle 2017, and looks forward to rubbing shoulders (or props as the case may be) with the best pilots in the sport in future races.